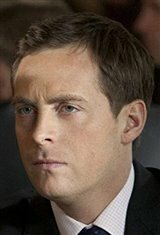 Born in London, Stephen Campbell Moore trained at the Guildhall School of Music and Drama. He began his career on the stage, appearing in the Royal Shakespeare Company's productions of Much Ado About Nothing and Antony and Cleopatra. Unlike many people who first land small roles in films and work their way up, Moore's feature film debut was a starring role as Adam in Bright Young Things , released in England to critical acclaim in 2003, then crossing the pond to play in North America in 2004. Since then, he has appeared in the BBC mini-series Byron and He Knew He Was Right (both 2003), and starred alongside Helen Hunt and Scarlett Johansson in his second feature, A Good Woman (2006), based on the play by Oscar Wilde. In 2006, Moore was nominated for a Drama Desk Award for his work on the Broadway production of The History Boys. He appeared opposite Nicolas Cage in Season of the Witch .